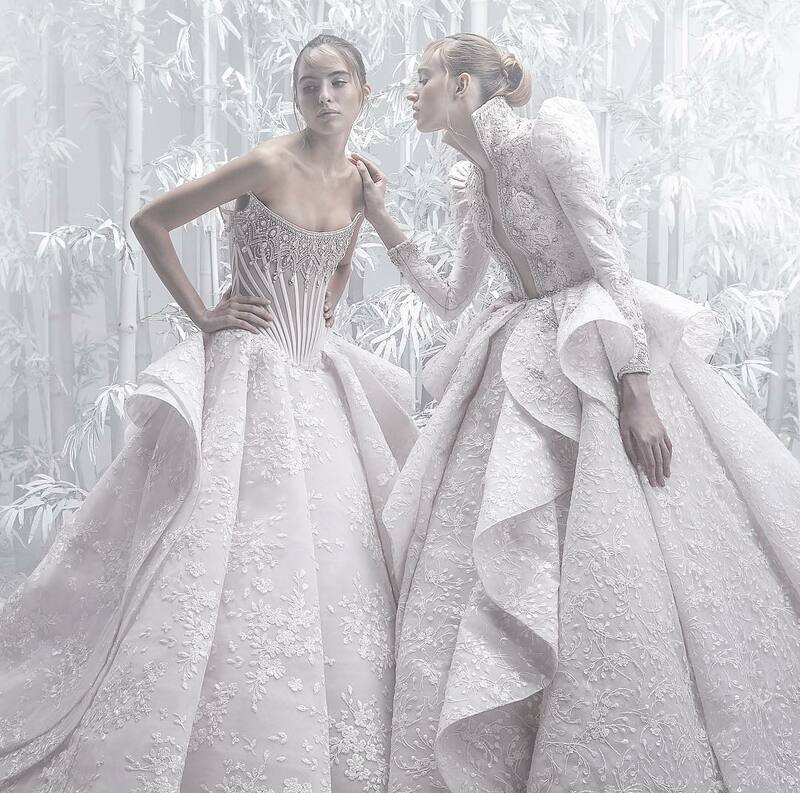 Headed up by Domenico Dolce and Stefano Gabbana, Dolce & Gabbana embodies the glamour and romance of Italian heritage design. 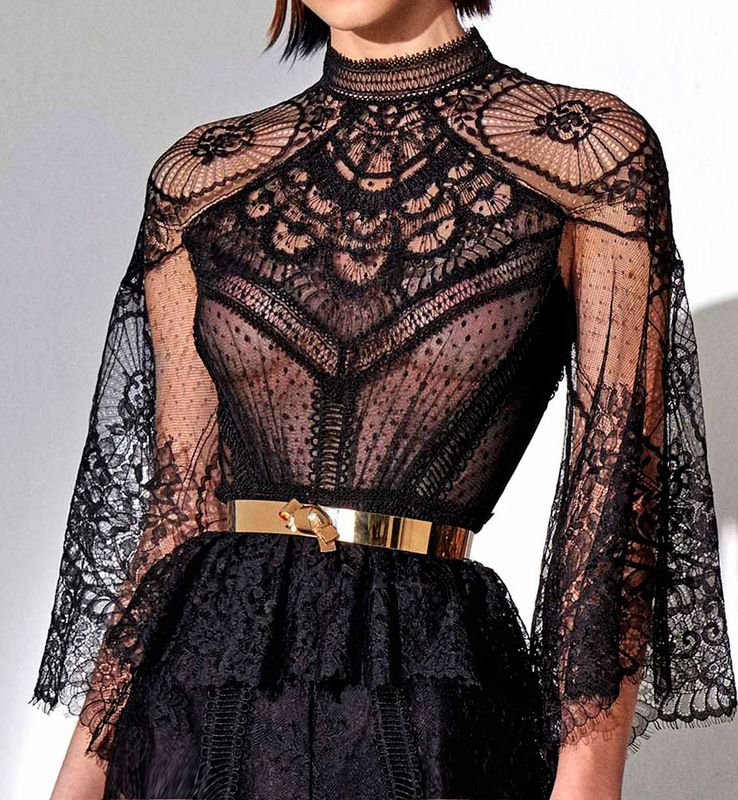 Off-setting sensuality with demure shapes, figure-hugging dresses in exquisite lace and Sicilian prints have become their trademark in recent seasons. 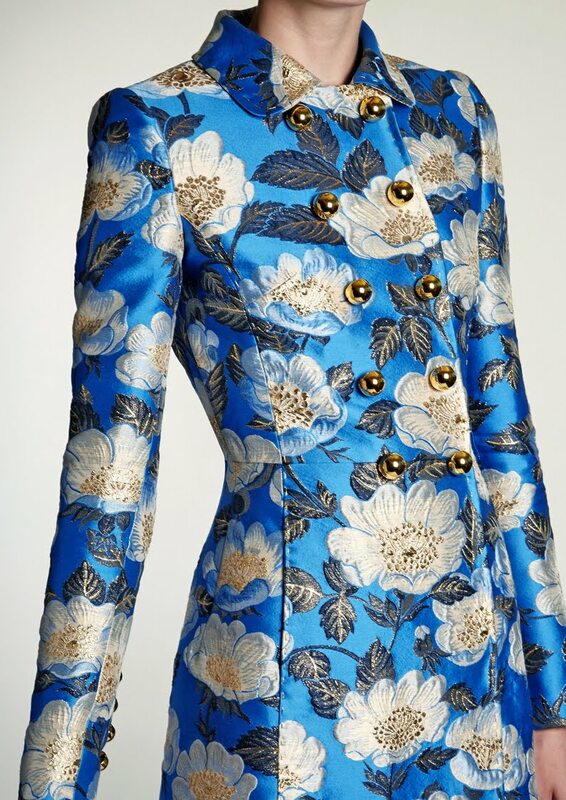 Embrace Dolce & Gabbana's maximalist vision of femininity with this cornflower-blue coat. It's tailored in Italy from a jacquard fabric with a painterly floral motif to a fit-and-flare shape and finished with gold-tone metal military-inspired buttons. Style yours with black pointed pumps for a traditional finish – an ideal look for a family celebration. Dolce & Gabbana's rose-pink satin Vanda bag is a statement-making accessory. 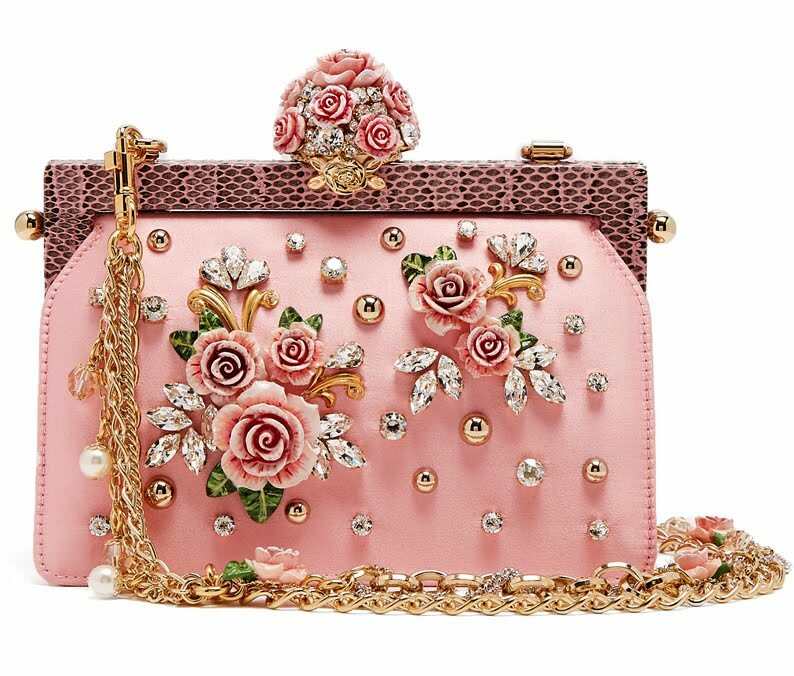 The Italian-made piece comes replete with rich embellishments – including a pink and grey snakeskin-leather top frame, an assortment of crystals, studs, and 3-D floral motifs, and the equally ornate multi-stranded chain shoulder strap. 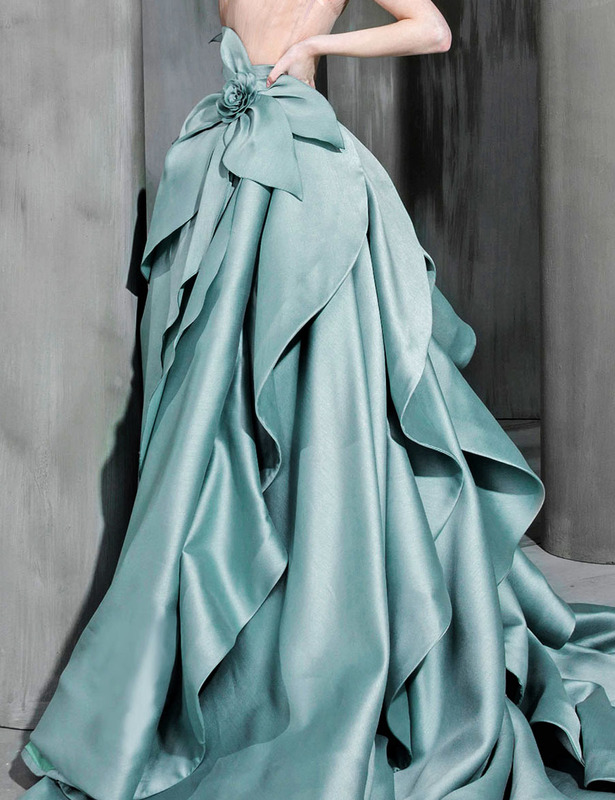 Let it swing beside a floor-skimming gown. A traditional lavallière necktie brings a hit of vintage glamour to Dolce & Gabbana's aqua-blue stretch silk-blend satin blouse. It's cut for a loose fit with soft gathers across the shoulders and falls neatly over the body with slender darts at the bust and back. Let it be the focal point of an evening look, coordinating with the label's floral-jacquard skirt. Dolce & Gabbana's white silk-chiffon blouse is a study in old-school romance. 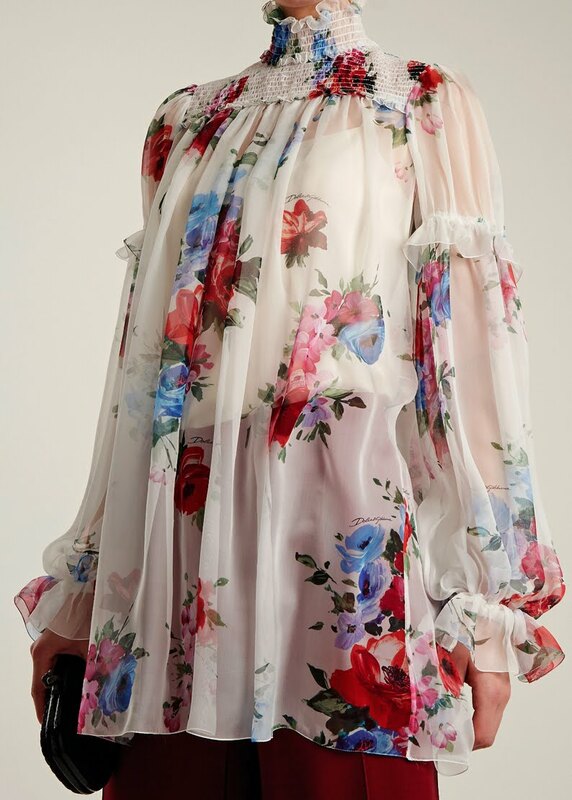 It's detailed with dense smocking across the high neck and shoulders before falling to long blouson sleeves that are finished with delicate ruffles and a red, blue, and green floral pattern. Complete a harmonious evening look with cropped red trousers.